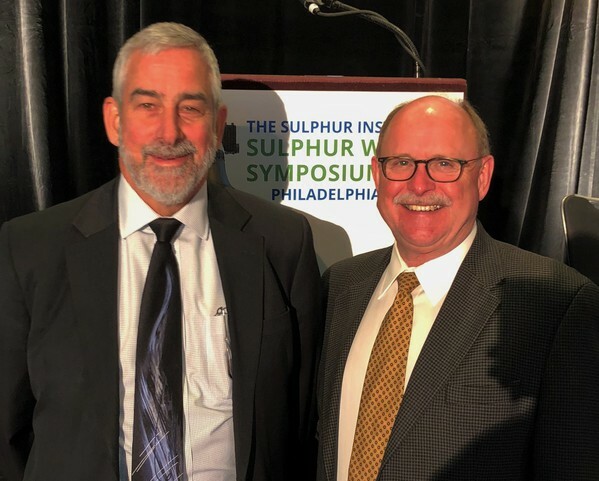 ​ Congratulations to Mark Gilbreath, Business Development Director for Gas and Sulfur, Matrix PDM Engineering, who was reelected to The Sulphur Institute’s (TSI’s) Board of Directors through 2021. Founded in 1960, TSI represents all stakeholders actively engaged in producing, buying, selling, handling, transporting, or adding value to sulphur and sulphuric acid. As a TSI board representative for Matrix PDM Engineering, Mark collaborates with other industry leaders in promoting and facilitating the production, processing, and logistics from recovery at gas and oil refineries through the entire infrastructure system needed to support sulfur and sulfuric acid beneficial uses around the globe. He is active on the Global Outreach Committee that promotes sulfur-related companies’ participation in TSI from all continents. Matrix is the only company represented on the TSI board that has capabilities to develop sulfur facilities from initial concepts and FEED studies all the way through engineering, equipment supply and commissioned construction. These capabilities represent the value that Matric PDM brings to the The Sulphur Institute organization, membership and associates.